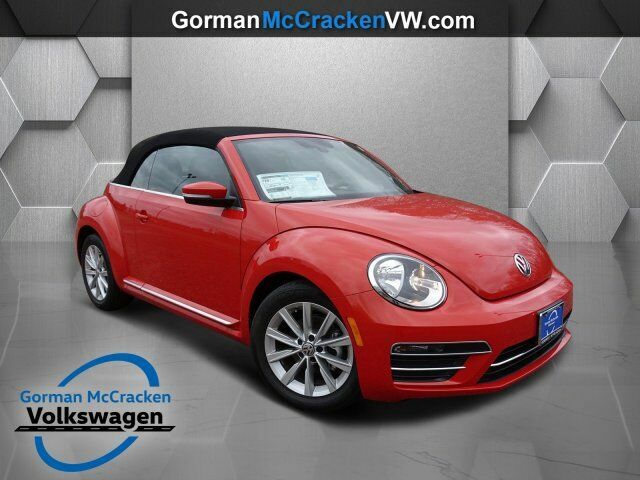 This 2019 Volkswagen Beetle Convertible SE is proudly offered by Gorman McCracken Mazda VW In just a matter of seconds, this Volkswagen Beetle Convertible turns into a convertible for extra fun on a beautiful sunny day. You can finally stop searching... You've found the one you've been looking for. Based on the superb condition of this vehicle, along with the options and color, this Volkswagen Beetle Convertible SE is sure to sell fast. The look is unmistakably Volkswagen, the smooth contours and cutting-edge technology of this Volkswagen Beetle Convertible SE will definitely turn heads.